I Dare you to Fail–it might be the best thing you ever do! I had the worst first grade teacher ever. 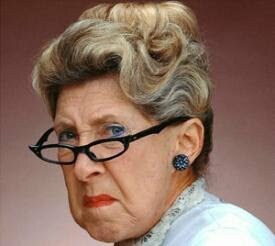 She was a cranky old bitty who thought I was stupid, who broke all my pencils, and who threw my shoes in the garbage. I hated her. But I owe her a huge thank you. She was my introduction to difficulty. She was my very early initiation into the practice of not perseverance, but of overcoming. I could have accepted her early analysis of my intellectual capabilities. I could have started the inner monologue of my incompetence, my inability, and my general suckiness, but instead, despite my immature, impressionable six year-old mind, I made my very first decision to overcome, to confront her analysis head on, and to prove her wrong. That was the first time I confronted an obstacle, and I believe it set the precedent for how I would handle all the obstacles to come. Where did my courage to deal with the difficulties that have come my way over the last several decades come from? I believe that it came from that very first experience with her. She had told me I couldn’t. She had told me I was dumb. She had labeled me and written me off. But I didn’t accept that, and by third grade I proudly walked the long hall to her room to hold my report card full of A’s to her startled face. Dadgummit! I had done it! I had proven her wrong, and if I’d proven her wrong, why couldn’t I overcome the next obstacle, and the next one? I had overcome, and that overcoming gave me faith that I could do it again. Because of her, from the very beginning, I was only too aware of my imperfections. I never labored under the false perception of perfection, so when I screwed up, as I inevitably did time and again, it was not the end of my world. I did not label myself as a failure, but instead, I recognized that I could do better, be better. I was very aware of my ability to change and to grow, because I had proven that ability from the tender age of six. I had proven to myself that I could be better tomorrow than I was today. I never thought I was perfect, but I knew that with effort, with tenacity, I could be more than who I was currently. If I had stepped out of the gate with straight A’s, if it had come easy to me from the very beginning, if I hadn’t had the very early lessons in difficulty, would I have had the courage to confront obstacles instead of just avoiding them? Would I have been scared to risk failure and take chances if I wasn’t thrust into it so early on? According to Carol Dweck, author of “Mindset: the new Psychology of success” I very well might not have. 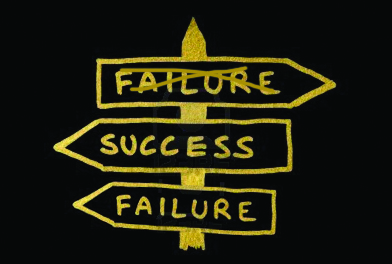 How we deal with failure early on, predicts how we are likely to deal with it our entire lives–unless me mindfully make a decision to deal with it differently. If, when we are confronted with difficulty, we choose to overcome it, we will keep daring, keep risking, keep pushing our limits to see what we are capable of doing. If, when confronted with difficulty, we back away, and stay in our comfort zone of what we know we do well, in our zone of tried and true success, we are likely to never find the true potential of what we could do. And it all starts when we’re just little peanuts. If we allow our failings to be an impetus for growth, rather than a label of who we are–a failure–we can become so much more. It is that very willingness to confront the obstacle that I learned way back then that keeps me blogging. I have blogged for years, and yet my following consists mainly of my mother, a couple of loyal family members, and a handful of faithful friends. Logic says that I should have given this up long before now, but am I going to quit? Nope. I’m going to keep doing it, becoming better, working out the kinks, until one day, I firmly believe, someone (hopefully lots of someones–and this isn’t to say I don’t appreciate you, my faithful few!) is going to notice. And my novel. I know it’s going to get rejected. Probably many times. Is that going to stop me from writing it, or from sending it out to the inundated world of agents and publishers? Sometimes, this mountain I’m trying to climb seems insurmountable, and I am tempted to throw in the towel, but I just can’t do that. Thank you, Kelly, for the nudge I needed through the book “Mindset” you sent my way, and thank you Chris, for the nudge you gave me with the book “Daring Greatly.” It is a good reminder to keep going, keep trying, and keep believing, that by daring to put myself out there, I am doing something worthwhile. And thank you Cassandra for telling me you “want to be [me] when you grow up.” You say that to me now, not as a published author, but as one who is daring to try to become one. It reminds me that it’s not the success I achieve, but the willingness to dare to achieve it that is truly admirable. So, if it’s the willingness to try that sets us apart, what is it that you need to be willing to risk? What is it that you need to dare to do? Aren’t you curious of just how much you can achieve? Daring to risk and failing, does not make you a failure. It makes you courageous. I dare you to dare with me. I completely agree with everything stated above. 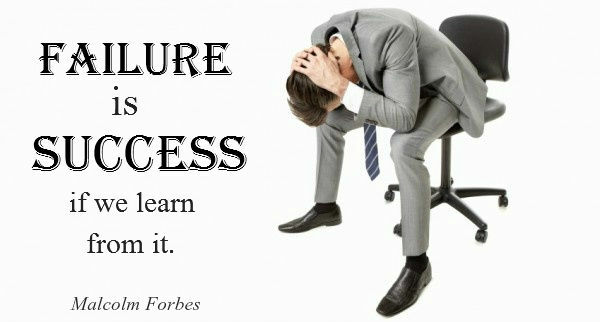 Failure is the path to success. Michael Jordan, Abraham Lincoln, Jerry Seinfeld, Henry Ford, all of these men failed, and well you know the rest. 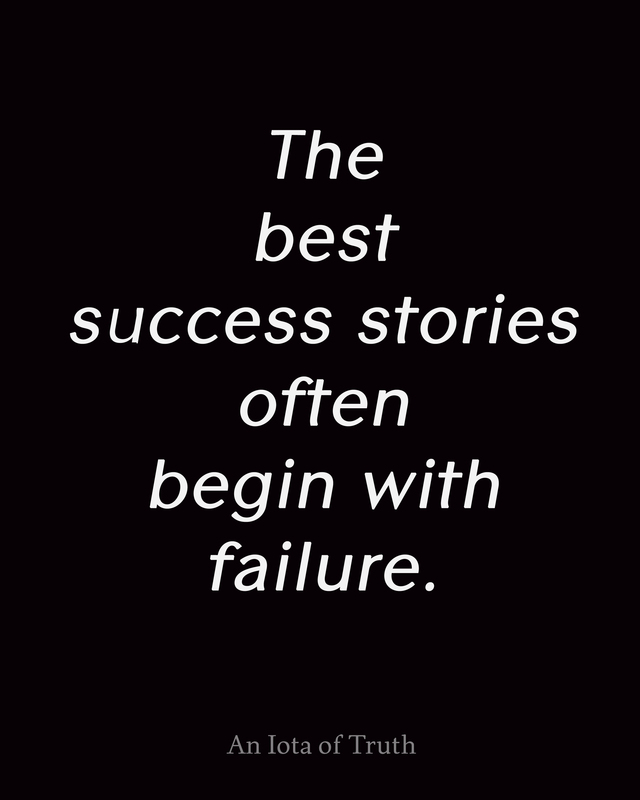 They all succeeded greatly after their bouts of failure. The key is to never give up, and to focus on your goals. Mentally lock in on the task’s in hand, take it one day at a time and you to will succeed. Very heart warming read. I definitely agree because failing makes you want to get back up and gives you motivation to do better. It’s hard at first to go from a fixed mental set to being a divergent thinker and comping up with creative ideas, but it’s better if we come out of our comfort zone because we may come to realize great creativity we never saw in ourselves. This is also how I was when I first started taking college classes. In my English 1301 class all I ever got on my essays were C’s and I found myself writing about the same old boring stuff. Then when I took English 1302 I started thinking outside the box and got A’s on all my essays. The first class made me want to push harder because I knew I was capable of doing better and it was true, I greatly improved. Good Afternoon Professor Graham, This is Lloyd Jacobs General Psychology C05. Very motivating blog. This blog reminds me of when we went over thinking, language, and intelligence. If people were to live their life as if it was Algorithm, then people would be boring, people would be predictable, and when a person does accomplish something, it wouldn’t be a big deal because they were expected to. It is hard for someone to succeed if they are set up for failure, i believe from an early stage in life, given proper reinforcement, a person will develop a healthy sense of heuristic, that can give a person opportunities to excel in life due to previous experiences. In my opinion a person who is willing to fail isn’t afraid of succeeding and accepting all responsibilities that come with success. Hi, Professor Graham! This blog post is very motivational, when I was reading it I was able to relate to myself and reflect the times I failed and gave up and how I failed and proved people wrong. I was able to link it to some principles of psychology too. Learning to overcome our failure can be linked to operant conditioning, where we learn from consequences. Proving your first-grade teacher that you were able to make straight A’s in third grade was a positive reinforcement in a way because you gained motivation and satisfaction that you were able to prove her wrong. Even if we fail we learn from it. We learn to build from failure or to sink in it. We aren’t always successful because, in the end, we are humans with complex emotions. I found it useful to surround myself with positive people to help me overcome my failures and succeed from it. All in all, it also depends on what kind of person you are and if you are prepared to take a punch once in a while! Getting out of my comfort zone and trying something different is something I definitely struggle with. I believe it’s because I have a fear of failure. In Middle school, my family and I went ice skating around Christmas time the whole drive to the ice rink all I could talk and think about was how “stupid” this was going to be. But the truth was that I was intimidated and terrified to fail. Reluctantly I laced my skates knowing I would end up falling at some point, and of course, I did. learning that it’s okay to fail sometimes was a major step in my life, just because you fail doesn’t always mean you lose, it’s another opportunity to get back up and try again. I have the same opinion that if you dare to fail, great things can come about as a result. As an eleven year old, my biggest dream was to be on the Today Show. My parents always told me that we could go on a trip to New York and stand outside on the plaza with a sign, but that I would never be able to be a guest on the show. Sure enough, we stood outside on the Today Show plaza and Al Roker wouldn’t even look at me- I failed. That dream of being on the show never went away, so this past summer, my friend and I went back with a plan that we thought would get us on the show. Once again, we failed. But these faiIures are what ultimately drove us to success. This past Monday (sorry for missing your class), we went back again with a creative strategy that took 40 hours of work… and we ended up being guests on the Today Show with a dressing room and an interview! This creativity, garnered from the failures, has pushed me beyond my typical boundaries and helped me reach my true potential. Failing is really something that is necessary to succeed. The fact that failure is frowned upon by so many people in todays society is a very upsetting. The fear of not being good enough can really hold people back from reaching their highest potential in life. I’ll admit that the fear of failure has kept me from doing many things I have longed to do in life. In fact, I almost did not pursue the career I wanted because I was not sure I could do it. The truth is, though, that no one is 100% garunteed to suceed at anything, but believing in myself and embracing the fact that I will fail many times before I suceed is a huge step in the right direction for me. Albert Bandura’s concept of self-efficiacy suggests that people who believe in themselves are able to be more succesful then people who dont believe in themselves. Bandura believed that the personality, environment and behavior all were affected by one another, also known as reciprocal determinism. 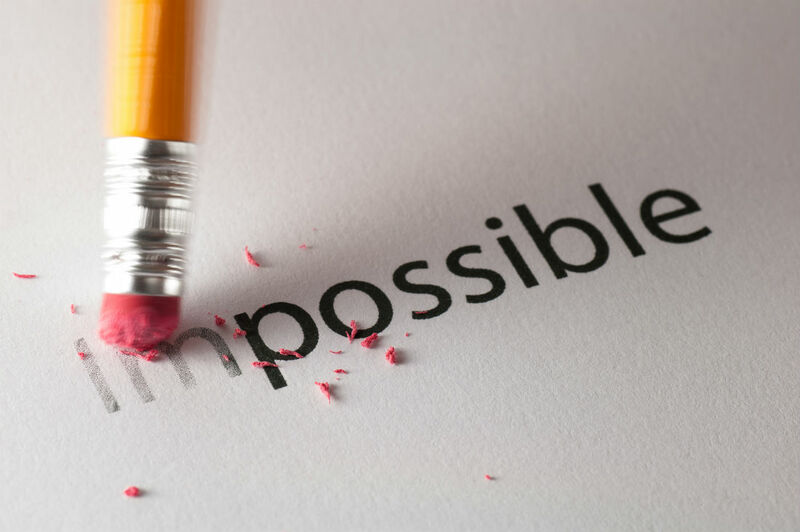 If you tell yourself you can’t do it, you probably never will. I feel that if you don’t know how to fail, you will be in constant fear of doing so. Most do learn from failing and it is a good way to figure out what doesn’t work, like what we learned in class about trial and error methods. For me failing terrifies me, I tend to stop myself on doing new things because I don’t want the feeling of failing on my shoulders. I have had many teachers tell me that I was intelligent and should speak up more in class and I would give them the same excuse every time…”I don’t want to be wrong”. Then I had one teacher finally sit me down and tell me if I keep being scared to try then I can have other people take what should have been mine because I wasn’t trying. Which is kind of the same as it come to teachers helping more than one really realizes. Little things can make big impacts so being confident to speck up can change someone else life as well as your own. When I read the quote “How we deal with failure early on, predicts how we are likely to deal with it our entire lives–unless me mindfully make a decision to deal with it differently” I really never realized that maybe the reason that I deal with situations in my life has stemmed from the way I dealt with them early on. I was always a super sensitive kid growing up and now I am a super sensitive adult. I guess I just never thought about the fact that even though I dealt with things pretty badly as a kid, I can still use the knowledge I have today to deal with things differently and use my brain to combat the feelings and emotions that are negatively affecting my life. Thank you for this!! Hello Professor Graham. This is Brittany Blakemore in your PSYC 2301.CO3 course. I also believe failure is not always a bad thing. One, it can inspire people to work harder to reach a goal or, two, it can teach a lesson. People often say “you learn from your mistakes.” This is so true. Without mistakes, we would not be able to strive for better. Failure inspires motivation, which according to lecture, is sufficient motivation to accomplish the task and more internal than external motivation. Although people motivate us to do better, the most motivation comes from ourselves because without the self willingness for success, people will not come very close to accomplishing success. I feel I am most hard on myself when I fail, but the failure only inspires me to work harder and to try better next time. Not only does it make me work harder, but inspires me to come up with new ideas to achieve success. This is Megan Sambrano, General Psychology CO3. This blog ties into the chapter of thinking, language, and intelligence. I agree people need to have failures. Without failures then life wouldn’t seem to have any meaning or teach anyone anything. I cant think of any good examples from my personal life but my husbands teacher when we were in High School told him he wasn’t going to amount to anything, and that he would be lucky to end up working in McDonalds. This has stuck with me, I couldn’t believe one of our teachers would say that, but this pushed him and he is far from working at McDonalds. Of course, he always says he can’t wait for the day he sees that teacher again just to show how far he has come. Daring to fail sometimes is an unintentional motivation to accomplish great things – and my husband did just that. When your teacher told you that you couldn’t and that you were dumb, and you pushed yourself to succeed I feel like you could say you fell into the divergent thinker category, that you didn’t go straight to the solution she had picked for you (failure). You realized that you had more than just the path she was trying to put you on and you overcame. This blog is beyond motivational, and I do believe that failure is just a stepping-stone to success. Human nature pushes people away from trying things they might fail. Because failure is scary, its basically emotional self preservation to not want to try new things. Most successful people aren’t successful because they are the best at something. It is because they weren’t afraid to try. Time and time again I see somebody doing something and I think well I could do that better than them how are they on TV right now. Because they tried. They weren’t afraid to fail. With me personally I think about this alot. I want to drop everything and start a lawn company because I think I would do awesomely at it. I have tons of great ideas on how to make the business a major success. But the what-ifs stop me every time. Maybe one night i will come back, read this article and just say what the hell lets give her a shot. But until then I will have it in the back of my mind.